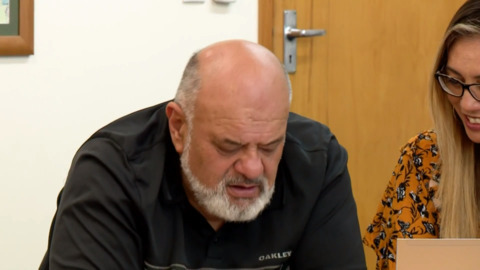 Te Kotahitanga o Ngā Hapū o Ngāpuhi have motioned to remove their co-chairs, Pita Tipene and Rudy Taylor alongside lawyer Jason Pou in the negotiations for the Ngāpuhi Treaty settlement. Chairman of Te Maara ā Hineaamaru, Te Waihoroi Shortland, has criticised the final iteration of the evolved mandate as Ngāti Hine campaigns to vote in opposition to the proposal. Ngāpuhi descendants living in Auckland want to be at the table as the tribe seeks to settle their treaty claim. Minister of Treaty Settlements, Andrew Little, met with urban Ngāpuhi as part of his hui to discuss a new proposed mandate for negotiations with the crown. Six hui are being held this weekend to give Ngāpuhi descendants a chance to feedback on settlement discussions. Representatives of Tūhoronuku Independent Mandated Authority and Te Kōtahitanga o Ngā Hapū o Ngāpuhi will be present, as well as the Treaty Negotiations Minister Andrew Little. The Minister of Treaty of Waitangi Negotiations Andrew Little has attended a series of meetings with Northern hapū this weekend, upholding Waitangi Tribunal recommendations for better recognition and respect for hapū at every level of Ngāpuhi's treaty settlement negotiations. 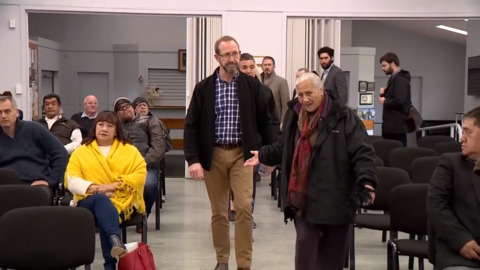 Tūhoronuku has sought mandated authority to negotiate Ngāpuhi's treaty settlement since the Ngāpuhi Mandate Inquiry Report was released in 2015. Time has now passed for Ngāpuhi descendants to disagree with them. Māori lawyer, Te Kani Williams says the process to settle Ngāpuhi's treaty claim is flawed. This follows Prime Minister Bill English's decision to withdraw the Government from the tribe's treaty settlement process. Te Kotahitanga o Ngā Hapū o Ngāpuhi and Tūhoronuku have been working together for many months now to complete the final Maranga Mai report.